Make your vacation unforgettable with our complete concierge services. Guests will have complimentary, daily access to the indoor pool, fitness classes, gym equipment, yoga, cycle and pilates studios, steam/sauna and more!. Avoid the long lift lines, save money and add lift tickets to your lodging package! Why stand in line and pay a premium on daily lift tickets. Order in advance, and Mammoth Sierra Reservations will have your lift tickets ready and activated in your arrival packet so you don't waste any time hitting the slopes! Enjoy the process of ski and snowboard rentals from the comfort of your own living room and experience the VIP service of Black Tie Ski Rentals. With free delivery, custom fitting for rental equipment, slope-side assistance and complimentary pick up of top of the line equipment. Pricing is competitive to regular rentals, but with none of the hassle and enjoy the benefit of an exclusive discount! 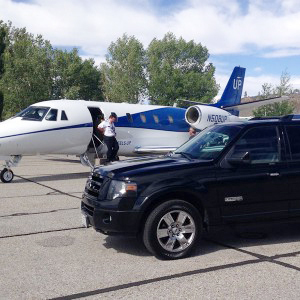 Fly in to mammoth and reserve private door-to-door transportation from the MMH airport. With friendly and professional transportation and shuttle service in luxury vehicles, reserve in advance to avoid any delay in beginning your mountain vacation. Let us navigate the crowds at the grocery store, stock your fridge and chill your drinks, before your arrival. 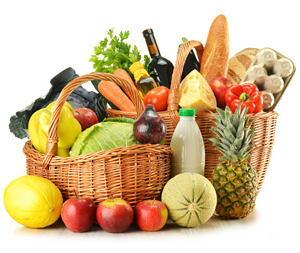 Flat fee + cost of groceries apply. 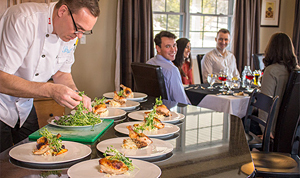 Why dine out when we can bring the fine dining experience to your home? Stay in and be treated by a private chef who will not only cook a delicious meal for you, but also clean up! Perfect for a dinner party with friends or a holiday gathering.